Columbia Models SA-107AIC and SA-107AIHPC Force Balance Accelerometers are designed with an output circuit configuration made for use in 4-20mA data transmission systems. The 4-20 mA system is used extensively in industrial installations in order to transmit data over long distances in environments where interference from nearby electrical power lines could be a problem. 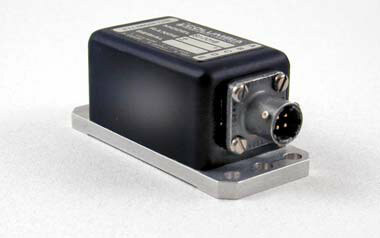 A single +15 volt supply powers both the sensor and 4-20 mA line driver. Model SA-107AIC is a low cost device, while the SA-107AIHPC incorporates Columbia's patented HP torquer design providing improved accuracy and repeatability in adverse shock environments. Both configurations provide a convenient 6-pin electrical interface. Models SA-107BIC and SA-107BIHPC Accelerometers are similar configurations that provide voltage output in addition to current output. Consult the factory for customized versions of these sensors. +15 +1 VDC <50 mA Max.